I finally got to see Ms Janet live on stage! Getting the tickets was a feat in itself. After her last 2 concerts at Radio City sold out, I found out via email one weekend they added on an extra show. The day of the presale I stalked ticketmaster’s site the moment they went on sale and bought 2 tickets to the 3/21 show. My friend Mireille came with me, and though we were in the mezzanine level, we had a clear view of the stage and the acoustics were a lot better at Radio City. I did not leave the show with ringing ears like I did after the Prince concert in February. The opening act was a boy group called Mindless Behavior. I had never heard of them and watched them onstage wondering who are these children dancing around onstage. Turns out they’re a group of 13 year old boys from Los Angeles who are all the rage with pre-teens. Despite obviously not being in their demographic, they were very talented and have a bright future ahead, if touring with Janet Jackson is any indication. About a 1/2 hour later Janet took the stage and looked hot with her recent haircut wearing a black leather catsuit with mesh down the sides of the legs and front. 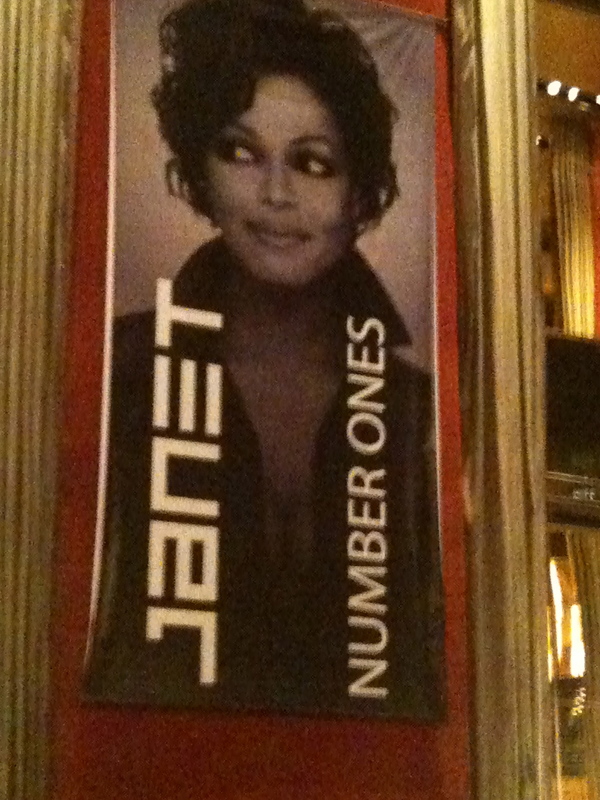 She performed all of her #1 tracks from over the years, hence the name of the tour. I forgot she had so many hits, some of her songs I hadn’t heard in years, but remember rocking them hard in my walkman/CD player back in the day. Between sets and dressing changes, we were shown clips from her music videos, acting roles on Good Times, Different Strokes, the movies, “Poetic Justice” and “Why Did I Get Married Too?” And at the end a few childhood pics of her and Michael in her tribute to him. They looked so cute in their pics and it just made me miss Michael Jackson even more and regret that I never got to see him live in concert also. She turned the house out and literally had it rocking. It’s hard to believe Janet is now in her 40s and she’s making it look so fabulous, I almost can’t wait to get there. And at the same time still raising the bar on performance standards.